Hi Friends! 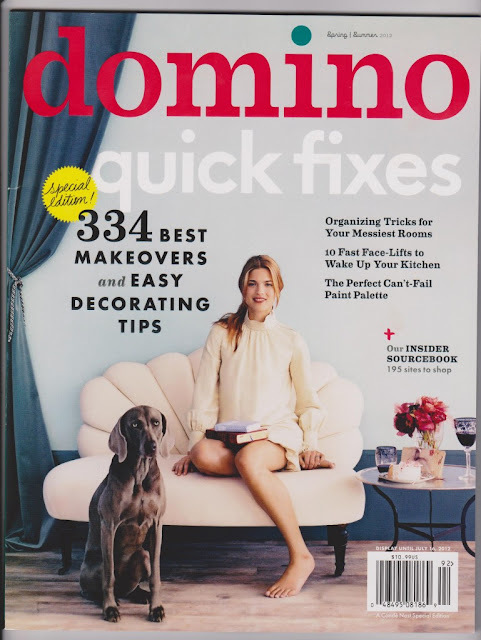 If you haven't already picked up your copy of domino's quick fixes magazine, run (don't walk) to your nearest magazine stand and pick it up! I was finally able to pick mine up yesterday and in less than 24 hours, my head is swimming with tricks and ideas I want to try. This special edition is bursting at the seams with easy and reasonable ideas for changing things up. I don't know about you but I like to spice things up at my abode from time to time. This magazine is one to keep! So you don't look like a crazy person trying to find it (like I did! ), here's what the cover looks like.